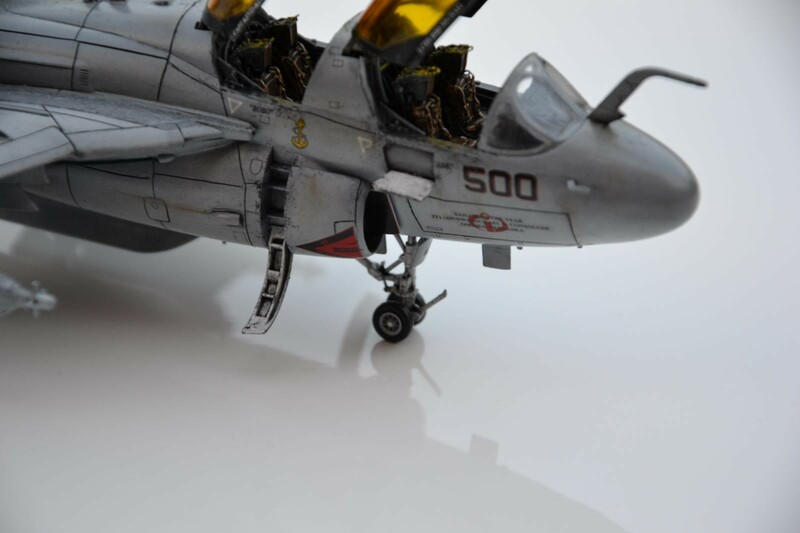 It took me 1 month to build this amazing kit from hasegawa. I add a new cokpit in resine with a lot of details. It was one of my favorit kit hope you will like it my friends. You can found me on instagram my page is @joclonn_models ! Plenty of details on that one. Are the gold tinted canopies already in the box or did you paint them that way? No I paint them by myself with a tamya x-24 clear yellow apply with a brush. thank you very much for your comment ! Hello Jocelyn. Welcome to iModeler. This is a wonderful post to begin your stay here! I’m curious about the canopies, too. They look so real! 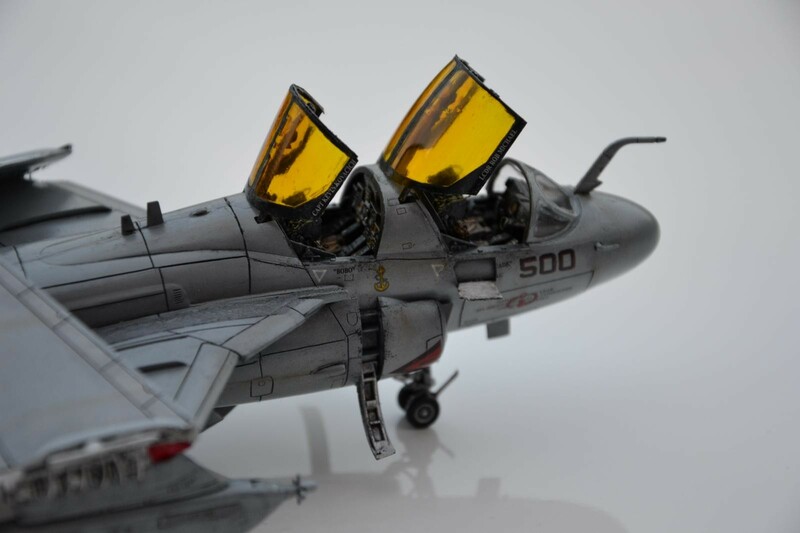 I’ve seen other models with tinted glass and it looks great … and very interesting. 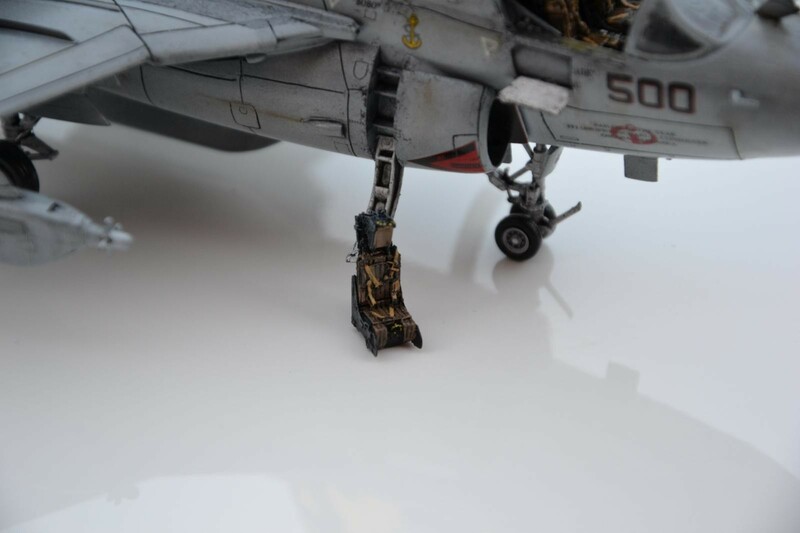 Your aircraft is VERY well constructed, painted, & weathered to realistic levels. Glad to have you here! Thank you so much ! this pleases me. 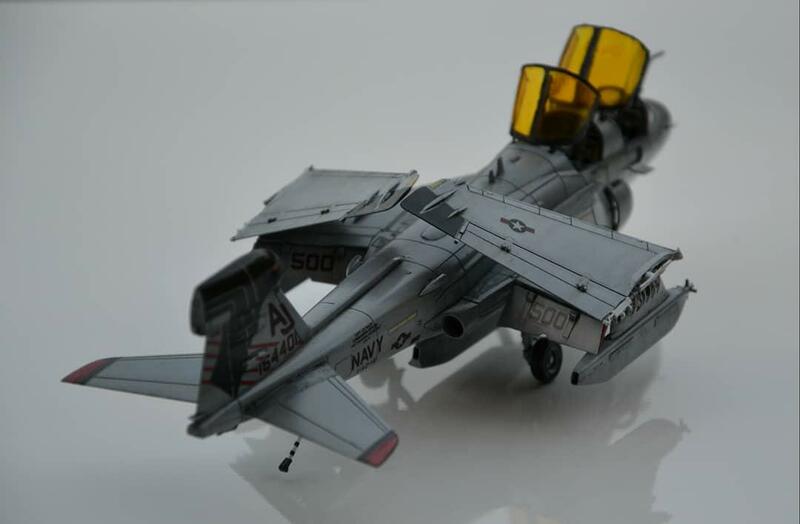 As I said the canopies was paint’s by myself with tamiya x-24 clear yellow. On real planes this tinted is used so that pilots are not dazzled by the sun. I am very happy the site is awesome and a lot of people are active and leave very cool comments. I’m hurry to post all my build’s I have 30 in my collection. The clear yellow looks great – I added a drop of gold when I did the same thing you’ve done. 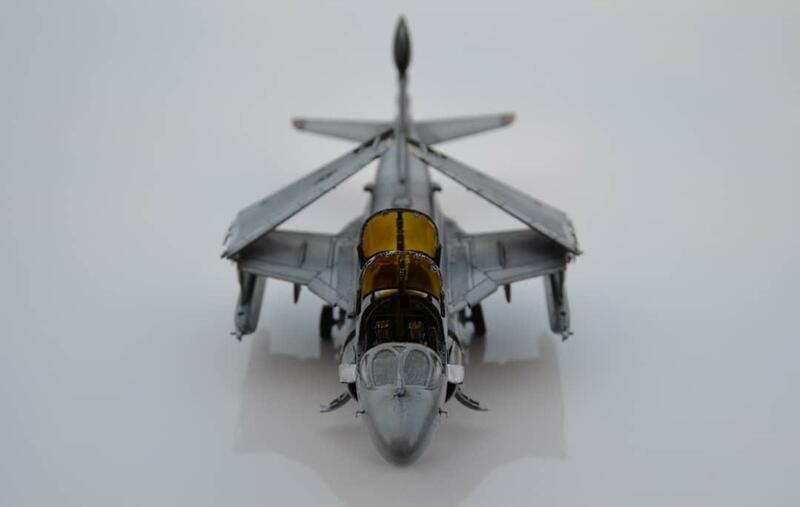 Jocelyn, this is excellent !, having built this kit I agree with your assessments, it is a wonderful kit. Great first post. You gave it a fantastic paint job. It’d take me way longer than a month to get one that nice. 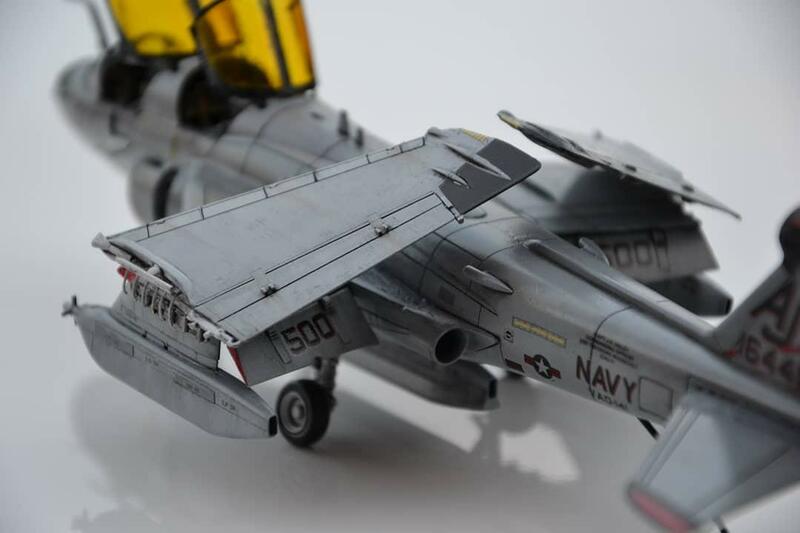 I am very fast when I build models … Thank you for your comment man ! My airbrush is a Badger NO 150 . Hi jocelyn, great job congrats! My name is Rodrigo Im from Argentina and I bought this kit the last month, have you any advice to give us about this kit, you know anything that you consider important to mention or something do you dislike about it. I really apreciate that. Hi Rodrigo thank you for your comment …first the pannel lines was not very deep so I rescride them all. then on my build you can see that the wings are folded this option is not included in the kit I cut wings by myself and add modifications to create details. I used a little bit of putty but nothing extraordinary the kit was pretty good I will said 17/20. Now that right there is a really nice job….hope to see more of your work here. Glad to have ya! You will … I have about 30 models in my collection ! Brilliant start to your iModeler ‘career’ – it’s been noted before but it’s hard to introduce depth and interest on these all grey schemes. You’ve done a great job, sir. Welcome to Imodeler. 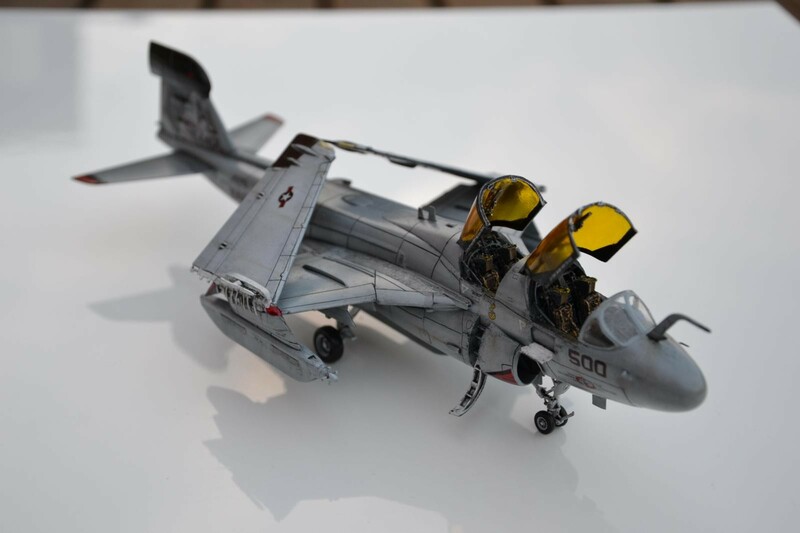 Your first presentation shows what you can do with an 1/72 scale model. 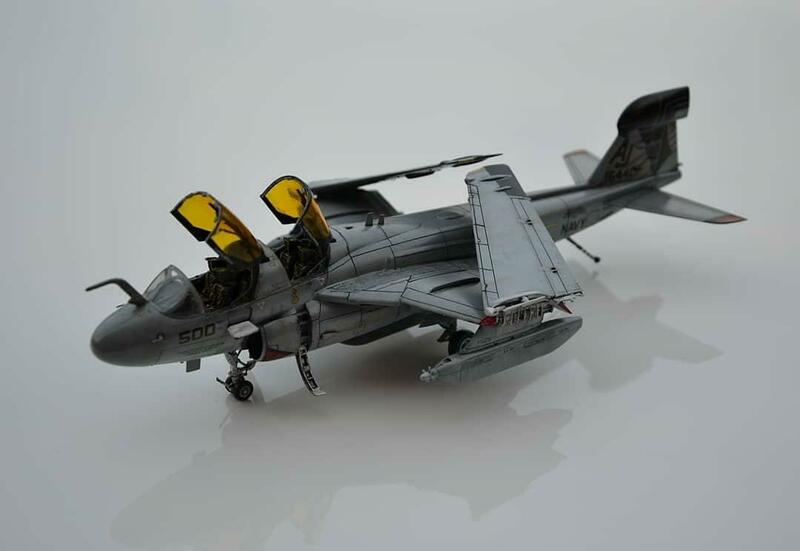 A shame the Prowler is slowly being phased out from the active fleet squadrons. Hello Dirk Derks. Thank for your comment. I will post soon an other 1/72 build. I disappoint too the prowler is one of my favorite aircraft. A great looking model, and in my favorite scale! Welcome to the iModeler community. Great job! One of the last of the Grumman family, I remember when they were introduced to the fleet, ouch I’m getting old! This is an AMAZING plane. one of my favorites, great to see you do it justice. A lovely build Jocelyn, I am about to start a build with this kit and an Aires cockpit. I have the Wolfpack wing fold set so I can fold the wings on mine. Just a note on the colour of the canopies. They are inlaid with a metallic screen to protect the crew from the electromagnetic radiation produced from the jamming equipment. I have read somewhere that it is actually gold that is used in the canopy but cannot confirm that is correct.